Shanna Gutierrez recently had the opportunity to interview Norman Carol, the concertmaster of the Philadelphia Orchestra from 1966-1994. 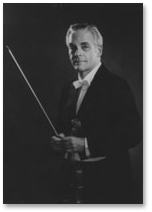 Mr. Carol performed under several conductors including Eugene Ormandy and Riccardo Muti. Prior to Philadelphia, Mr. Carol was a member of the Boston Symphony Orchestra and the Minneapolis Symphony. Mr. Carol is currently on the faculty of the Curtis Institute of Music where he teaches Orchestral Repertoire. Shanna conducted the interview on behalf of Ovation Press, a music publisher for which Mr. Carol has edited eight full-length orchestral parts for violin. Ovation Press offers string musicians an unparalleled resource for fully-edited orchestral parts, unique transcriptions, exclusive historical editions and more, all available to purchase at its online store and print at home. We discussed his view on the role of the concertmaster, his advice for new members of an orchestra, his current career as a teacher and highlights of his time with the Philadelphia Orchestra. Shanna Gutierrez: How did you come to the violin? Norman Carol: My older sister played violin, and in those early days there was no such thing as a babysitter, so my mother used to take me along to the lessons. My sister's violin teachers saw another 'victim' in me, thus I played the violin. SG: Were your parents involved in your musical education? NC: They were very much involved. There are some musicians far back in the family, but as far as my father and mother, they were not musicians. Although my father didn't play nor read music, his whole life, his whole life was centered around music. He went to all kinds of concerts, and eventually he took my sister and me to concerts. Music was a very, very important part of his life. SG: How did your musical career begin? NC: I started playing at the age of nine although I don't remember much of it. I did quite a bit of solo playing. I guess everybody has aspirations of a solo career, and I did for a while. However, I soon got married and found out that, if you want to eat and do other things in life, solo careers aren't always as wonderful as they look. Thus, I decided to audition into an orchestra and become concertmaster. SG: What are some important responsibilities of being a concertmaster of an orchestra? NC: There are so many important aspects to the concertmaster position in the orchestra. I think what is very important is to make sure the bowings you choose are something everybody in the section can play. It doesn't do very much good if only the concertmaster and a few other musicians can play the parts, unless everybody in the section is able to do it. I know in my case I happened to get "struck by lightning" on five different occasions when either a soloist was not able to play or something happened in their family which caused him or her not to play. I was asked to fill in; one time with just a few hours notice. That's part of the excitement of that particular position. In general, I also think the concertmaster has to establish a certain musical regimen in the orchestra which even goes beyond the conductor or the music director of the orchestra. SG: How does a concertmaster establish a regimen in an orchestra? NC: It is done mainly by how you yourself perform. I don't happen to believe that you actually have to turn around or get up and make a speech to the rest of the section or to the orchestra. I think that leading by example works a lot better--at least I always thought it did. In a major orchestra, as in my case the Philadelphia Orchestra, I think the standard of playing is so high that there is really very little you have to say or do. Occasionally you may want to demonstrate where on the bow something should be played when you see it is not being played correctly. In that circumstance, you do not even need to turn around, just lift your violin rather high and people catch on fairly quickly. SG: Why are excellent bowings so important? NC: I think bowings not only help phrasing in a particular piece but they also help the sound of the music. In the case of Brahms or Wagner, where there are huge phrase marks which would be impossible to play with just one bow for phrases that long, it is important to bring out the phrase and quality of the phrase. It is the concertmaster's responsibility to divide up bowings so that the phrase remains intact, but you're able to express it better by using different bowings. Of course, every concertmaster has his/her own ideas of what the bowings should be, and each one is right and each one is wrong. SG: Did you have a special ritual or warm-up routine before concerts? Did it change over the years? NC: I've been retired for a while but I do remember a certain routine I had. Unlike many of today's young musicians in the orchestra, I always believed in getting to a concert at least an hour before the performance. Not only to give myself a chance to warm up but just in case anything dramatic was about to happen like someone was sick or couldn't show up for a performance and I had to make adjustments and so forth. I also have my own routine about playing scales and all that sort of thing which I usually do at home before I even go to a concert. It's a routine I started when I was very young and I still do today even when I pick up the violin for the first time during the day. It is really too involved to go through here but it has to do with playing scales and listening to the sound, etc. SG: What do you feel conductors and orchestras can learn from each other? NC: I think that if musicians are willing to approach every conductor with an open mind, you can learn quite a bit from them, no matter what their caliber; over a long career, I've played under many very, very good and very, very bad ones. I think, in the case of conductors, if they are really smart themselves they can learn an awful lot from the orchestra too. Especially young conductors who come through and conduct in front of a major orchestra for the first time. They are astounded at the quality of sound that comes out, and some conductors are even smart enough to mention that. Generally speaking, I think it's a give and take. I think it's a matter of courtesy on the part of the musicians and conductor. As far as the conductor is concerned, most good conductors learn rather quickly that they don't have to talk to an orchestra as much as some of them do. How conductors demonstrate with their hands and body movement is certainly enough for a good orchestra. SG: Can you speak about highlights in your experience with Ormandy and Muti in particular? NC: There is a series of what we call "Ormandy-isms" that have made the rounds over the years. He very innocently came up with some rather strange and very funny remarks from time to time like: "who's sitting on that empty chair?" Over the years we've collected these things, however, one of Ormandy's really outstanding skills was his ability to accompany a soloist, whether the soloist was standing in front or sitting within the orchestra. For instance, in my own experience, during all the numerous times we played Ein Heldenleben or other works with huge concertmaster solos, Ormandy was always willing to adjust if I played a little differently one night. Occasionally if a player did something a little tricky, he would even turn around and give you one of his "you thought you could fool me?" stares, but he was always, always there with you. In the case of Muti, I really don't know of any other conductor from whom I learned more (and this was at a later stage in my career). Not only about music but philosophy, history, politics, you name it. He was quite an inspiration on almost every level; musically because we were able to do a number of concert opera performances with him and he truly understood the meaning of opera, especially Verdi, Puccini, the Italian repertoire. He was quite astounding in his knowledge and how he made even the orchestra rehearsals for opera extremely interesting. SG: What do you think have been the biggest changes in orchestras over the years? NC: There is a much greater knowledge of the repertoire today. Young people just generally receive a better and more thorough orchestral experience while they attend school. For example, I teach at the Curtis Institute of Music and not only do we have an orchestra, but also orchestral repertoire classes for strings and woodwind and brass. Usually these are directed by either the concertmaster of the orchestra, in my case it was me, or the leading wind player. Students have a chance to play through orchestral repertoire and study carefully with someone who has been there and played through these pieces a million times. A lot of people who come and audition for orchestral openings are extremely well prepared simply because they were fortunate enough to have thorough instruction and advice. I often say to young string players who are working on a particular piece that they'd better know this or that specific passage inside and out because this could well be the difference between earning a living or not. When I was younger, it was during the war years and for a time we didn't even have an orchestra because many people were away. I speak for my own background here, but I don't think too many people at that time were fortunate enough to have studied orchestral repertoire and some of the solos that have to be played like Ein Heldenleben, Scheherazade, Le Bourgeois Gentilhomme, etc. When I teach today I insist that my students learn the orchestral solo repertoire along with the regular repertoire of concerti and sonatas, etc. Not only is it a matter of learning something that is extremely difficult, and in a number of cases even more difficult than any concerto, but it is learning something musically interesting as well. SG: How does someone prepare to become concertmaster? NC: Most of the time it just happens. You hear of an opening and take the audition. I was lucky enough to have had 3 years as a member of the Boston Symphony way, way back before doing some solo work. When I heard about an opening as a concertmaster I took the audition. I think it was, as far as I'm concerned, the smartest thing I ever did because I not only was able to make a very decent living at it but musically I had all kinds of challenges, not only performing but leading various people and getting involved with the audition process. SG: Does experience as a member of the section benefit a future concertmaster? NC: I think it probably helps but there are some young people who really have their heart set on being concertmaster right away. Some of them are fortunate enough to go right from school into a smaller orchestra as concertmaster. I know of several students from Curtis who only played in an orchestra at school and then wound up as concertmaster of an orchestra. SG: For young musicians joining a major orchestra for the first time, what do they need to know? NC: You need three sets of eyes: 1) you have to always watch the conductor, 2) you need another set of eyes to look at the music, 3) maybe the most important thing, you need a third set of eyes to watch the leader of the section. If you're in the violin section watch what the concertmaster is doing. I think it's extremely important to be able to play in the same part of the bow in which you see the concertmaster or section principle playing. This is extremely important not only for a successful career but also in order to learn how and where you should be playing the music. If possible, you can even have a fourth set of eyes to observe what kind of fingerings the concertmaster is using. Although it is not always physically possible, it helps if you can do it. SG: What does the first-time concertmaster need to know in order to fulfill that position's responsibilities? NC: First of all, I would say know the part cold before you even come to the first rehearsal. I don't think there is anything more demoralizing to a section if they see that the concertmaster is not quite up to snuff as far as the part is concerned. I would also think that, somewhere along the line, you present some ideas as far as bowings are concerned even if that means asking another concertmaster for advice. I hate to use the term "listening to recordings" but for young people today that seems to be their modis operandi--listening to recordings. Just generally, use your musical instincts to play something correctly. However, above all else, the most important thing is preparedness: to be ready and just be so knowledgeable about the music and what is in the part. Another thing you have to learn, depending on the standard of the orchestra, is to communicate with the musicians in the orchestra and to be able to understand as quickly as possible what the conductor wants out of the music. SG: Which of your own teachers had an especially large impact on you as a musician? NC: I had two teachers that had an enormous impact, neither of whom were violinists. One was William Primrose probably the greatest violist that ever lived, although he started out as a violinist. I had Primrose for chamber music when I was a student at Curtis, and I learned more from him than any other person. The other teacher that had an enormous influence on me was Marcel Tabuteau, principle oboe of the Philadelphia Orchestra. Tabuteau taught our string class at Curtis and by his own admission he knew nothing about the technical details of how strings play, but what he knew about music and phrasing was unbelievable. He was quite a character. We had the fear of God in us when we walked into his classes. As a young student at Curtis, and I was very young when I attended Curtis, just walking down the street, if Tabuteau happened to be on the other side of the street, for us it was like seeing God walk there. What an impact he had on us! The ironic thing is that we used to have those classes on Wednesday from 4:30 to 6:30 and for about maybe 35 years or so now I have had that same class. When I walk up the steps at Curtis I always get a chill, not believing that 35 years later, here I am doing the same thing Tabuteau did when I was a student. SG: How has teaching impacted your career? NC: Maybe most people won't admit this, but I think teaching becomes a very selfish thing. I know when I first started teaching and needed to suggest something to the student, all of a sudden I would have to think: how do you do this, or why do you do this, and so forth. Then over the years you just learn to explain all of these things. This is why I've always believed that it becomes a very selfish commodity, because from teaching you learn so much yourself. Another crucial point to remember is no matter what the level of the student is, it is very important that the teacher approach the student with a great amount of courtesy. I think we forget perhaps some of the frustrations we had as young people trying to learn these stupid instruments we play, and this young person is going through the same things themselves. I think patience is very important with students, although I must admit I lose mine at times. SG: What career advice do you give to students? NC: I seem to repeat the same little speech to my students every year: "Every one of you here expects to have an unbelievable solo career. You're gonna be the greatest violinist, violist, cellist, bassist in the world, but just in case that doesn't happen, you are probably going to form one of the greatest string quartets in the history of music making and you're going to have a fantastic career. Well, in case that doesn't happen, there's always the orchestra. SG: Is chamber music experience important for orchestral musicians? NC: I believe it's the most important form of music they can play, because playing chamber music as a young student is really the precursor to playing a larger chamber piece like an orchestral work. It not only teaches you how to phrase but also how to analyze the music and accept suggestions and criticism from your colleagues. For people who play in an orchestra, I think perhaps it becomes frustrating that they don't have enough time to play chamber music. I was very fortunate in being exposed to chamber music at a very early age; we go back to Primrose for that. I was always able to find time to learn and perform chamber music. As a matter of fact, when I finally did retire from the orchestra, I played in the Philadelphia Piano Quartet. A former colleague of mine in the Philadelphia Orchestra left the orchestra a number of years before I did and he decided to go to Florida to retire. He had this idea of inviting me down for a concert to see how it went and his wife was the pianist and we had a very fine violist. As a matter of fact, the violist's name was LaMar Alsop, father of Marin Alsop the conductor. And that's how it started. I went down just to play one concert. We hit it off and decided to put on a monthly series which lasted for about 11 years. SG: What did you enjoy most about playing with this group? NC: The four of us got along extremely well. We had a lot of fun together and we really enjoyed the repertoire that we were playing. It was not only a piano quartet but many times we had a soloist with the group. Doriot Anthony came down to play with us a couple of times, and Dale Clevenger, from the Chicago Symphony. We were able to expand to quintets and sextets and so forth. Occasionally we all did some solos on the chamber concert program. It was really a potpourri of music and very enjoyable. A lot of fun. We didn't have a conductor to bother us either. SG: Can you share a couple of the most memorable moments from your orchestral career? NC: There have been so many experiences! Although I never really enjoyed touring that much, we had some wonderfully glorious moments. I remember the first time Muti took us to Naples, Italy to play. Naples was his home town, and on the very first time he came walking out on the stage, they wouldn't let him start the program. The applause and the insanity was just unbelievable. Every time it calmed down, somebody would say something causing another eruption. That was wonderful. We had to go on for maybe 8 or 10 minutes before we were able to play the first note. I've met a lot of interesting people on tour. I met Madam Mao on my first to China, and on two different occasions. If you know a little about Chinese history, the first time the Philadelphia Orchestra was in China was in 1973. We were the first Western orchestra to go. It was just at the end of the Cultural Revolution and people were really starving for classical music at that time. On that tour we were not allowed to play certain composers such as Tchaikovsky. We went again in 1993 exactly 20 years later. Things had changed so dramatically in China. We went from seeing no automobiles on the street to streets having traffic jams with automobiles. SG: What was one of the funniest moments playing in the orchestra? NC: This is a true story. We were playing a summer concert up in Saratoga Springs where the orchestra was in residence for three or four weeks. In the middle of the performance we suddenly heard what we first thought was a gunshot sound. Those of us who were string players knew better. The strings are held on top of the bridge by a piece of gut that stretches very, very tightly on the back of the violin. And occasionally from age or wear and tear, this thing snaps, makes a huge noise, everything, everything falls apart. The strings are relaxed, the bridge falls, you can't play. The gentleman whose violin this was just sat there with the violin on his lap. Ormandy continued to conduct and then he leans over to this man and said, "Don't play." A very insightful interview. Thank you for sharing this one! he has twin grandsons whom i went to highschool with! An enlightening interview with a great master. Thank you Michael for sharing ! I flew thePhiladelphia Orchestra a few times. they were very gregarious. Some member(s)of the orchestra also was fond of snakes. I'll shut up here before I get or get someone in hot water. LOL. Remember "Snakes on a Plane?" No harm done and it was sort of funny. I need to get all my students to read this interview! Heavens, it covers so much, so well, in a relatively small space (and quite clearly). His incredible lack of ego is amazing....especially when you consider his role in the making of about 500 definitive recordings of the world's greatest orchestral literature !